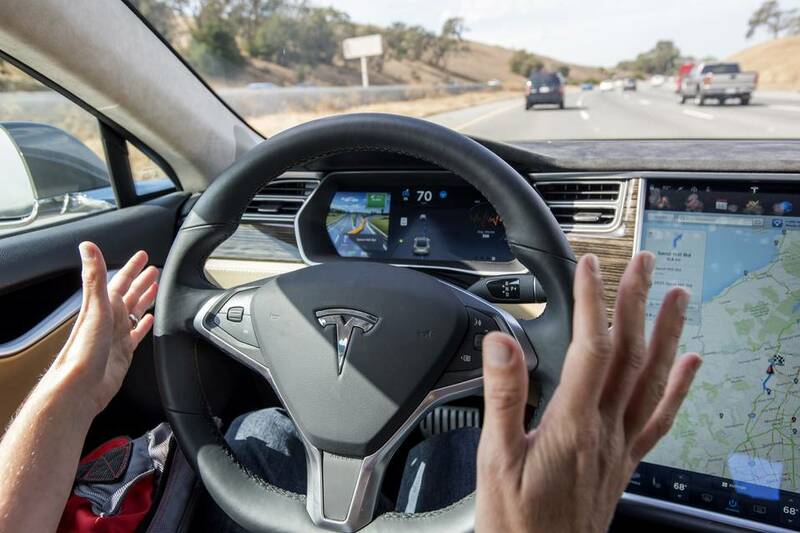 Tesla Motors Inc. implemented restrictions on where it will allow its vehicles to use autopilot after many owners took videos of themselves driving hands-free in dangerous situations. Tesla, through a software update delivered via the Internet to its vehicles on Saturday, also added a self-parking or “summon” feature that allows the owner to park or fetch his or her vehicle remotely from a distance of up to 39 feet. Chief Executive Elon Musk said during a third-quarter conference call that the company would likely update the software in its autopilot system after drivers posted dozens of videos of themselves doing unsafe things, such as getting into the rear seat while the car was operating or reading a book. Under the new update, Tesla’s vehicles won’t be able to go into autopilot on residential streets or roads without a center divider. The autopilot also won’t be able to exceed the posted speed limit by more than 5 miles per hour. Tesla added the autopilot feature in October. Tesla’s autopilot allows hands- and feet-free driving in everything from stop-and-go traffic to highway speeds, and enabled a car to parallel park itself.